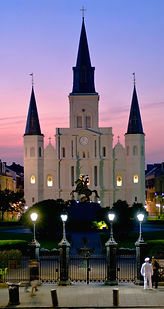 As pretty much everyone knows by now, the annual Bouchercon world mystery conference was held in New Orleans a couple of weeks ago. I attended, and my wife Carolyn went along also (many spouses did, I'm told--probably because of the location). We had a great time. Thankfully, many current and former SleuthSayers and Criminal Briefers were in attendance as well, and although I didn't connect with every single one, I found most of them, and thoroughly enjoyed the chance to visit and catch up a bit. Among them were R.T. Lawton, Bonnie (B.K.) Stevens, Art Taylor, Deborah Elliott-Upton, James Lincoln Warren, Steve Steinbock, Melodie Johnson Howe, O'Neil De Noux, and Terry Faherty. Somehow I missed running into Jan Grape and Susan Cooper, but I'm hoping our paths will cross soon. There were too many different experiences to go into here--certainly too many to hold even the most patient reader's interest--but one that I must mention was the opening ceremonies, on Thursday night. All I can say is, my hat's off to the people who planned this event. They know how to put on a show. All the dignitaries, dressed in suitably flamboyant outfits, rode in on floats that deposited them on the stage amid strobing lights and blaring music. Afterward came several hours of awards, presentations, and speeches, but the hosts somehow managed to keep things entertaining. One of them was O'Neil De Noux, who did a great job. I also want to point out three other events that were fun, for me. 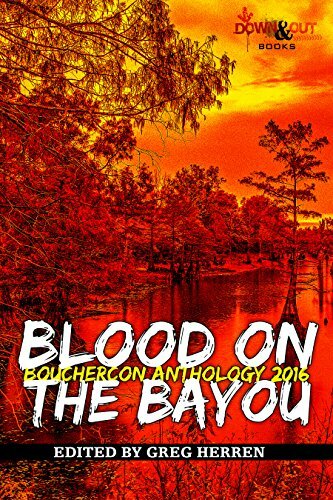 One was the signing of the annual Bouchercon anthology, Blood on the Bayou, edited by Greg Herren and produced by Down & Out Books. Some of the folks whose stories were included in the antho are friends of mine, so we had a good time there, and the process was a bit different from previous years: each of us was given a separate table in one of the ballrooms, and the purchasers of the book filed past and stopped at each table to get our signatures (some on the story page, some on the title page in the front, some on both). It not only made the lines seem shorter, it gave the writers a chance to talk with each reader for a moment more than we might've, in a more crowded setup. Another delight for me was the annual get-together of members of the Short Mystery Fiction Society. With the guidance of O'Neil De Noux (he was everywhere, at this conference), we were herded up the street to the Napoleon House for lunch one day, and I was able to see a lot of old buddies and meet some new ones. I didn't take a headcount, but I figure there were around two dozen of us present, for a good meal and good conversation. Writers of short stories sometimes feel like the Rodney Dangerfields of the fiction world, and it was great to get together with a group that loves that form of storytelling. The fourth thing I'll always remember was a panel called "Murder by Numbers: Ellery Queen, Their Words, and the Magazine." My old friend and hero James Lincoln Warren was the moderator, and the panelists were a stellar group of EQMM experts: Janet Hutchings, Otto Penzler, Steve Steinbock, Ted Hertel, Shelly Dickson Carr, and Brendan DuBois. I had to sneak out a few minutes early to go to the aforementioned lunch meeting, but it was both entertaining and informative to hear this discussion of the history of one of our leading mystery magazines. Well done, you guys! One thing that surprised me was that there was such good attendance at most of the panels I went to. Don't get me wrong--the panels were excellent; they always are--but we were, after all, in NOLA, with all the wonders of the city beckoning to us just outside the hotel doors. I can easily recall the conferences and conventions I attended with IBM, and when they happened to be held in places like San Francisco or Miami Beach or New Orleans or Anchorage or Honolulu there were always a lot of empty seats at those indoor concurrent sessions (the equivalent of our "panels"). I specialized in Finance, and during the banking conferences there was a standing joke: anytime someone discovered a colleague was absent from one of the business or technical sessions and inquired about his whereabouts, the answer was "He's studying float management." Which of course meant that he/she/I had opted to go out to the hotel pool instead of in to the meeting. I wound up with only two complaints, about the four days and nights we spent at Bouchercon 2016. One was the sky-high parking fees at the Marriott--I mean, jeez Louise!--and the other was the unique smell of the French Quarter streets on Sunday morning. The first was unexpected; the second was not--I've spent a lot of time wandering the Quarter, over the years, and occasionally not at the best times of day/night. The good thing is, the positives outweigh the negatives, and New Orleans will always be close to my heart. A final point. 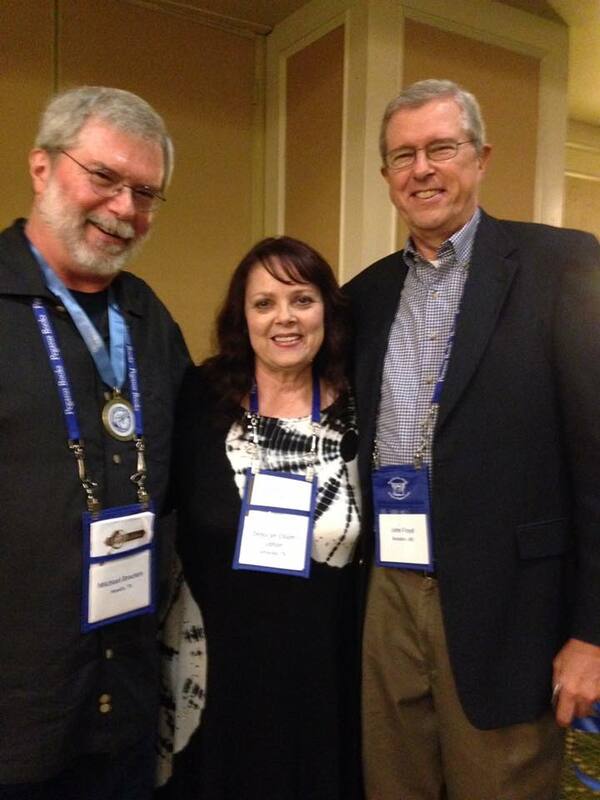 As always, one perk of attending Bouchercon is the chance to meet with your publishers, editors, etc. One morning Carolyn and I had breakfast with Janet Hutchings, Linda Landrigan, and several fellow writers for EQMM and AHMM; that night we shared a meal with Strand editor Andrew Gulli at Cafe Beignet; and the following morning we had Eggs Benedict with Linda Landrigan at Brennan's. Where else can you have the opportunity to spend time in a casual, non-business setting with the folks who are kind enough to publish your creations? B'con is also a good place to meet authors you've always admired and loved to read: in my case, Joe Lansdale, Harlan Coben, Hank Phillippi Ryan, Lee Child, Harley Jane Kozak, Ace Atkins, Lawrence Block, and Michael Connelly. And I'll always treasure the long visits I had with friends Michael Bracken and Deborah Elliott-Upton (shown at left), Vy Cava, R.T. Lawton, Melodie J. Howe, O'Neil De Noux and Debb, Bob Mangeot, James Lincoln Warren, and others. 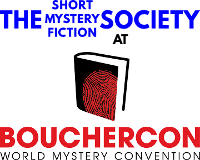 If you've never attended a Bouchercon at all, I do hope you'll find time for one in the future. Other, smaller conferences are good as well--I've heard many writers say they're even better--but the special thing about B'con is that (1) it IS so big (you can be sure there'll be a lot of A-list authors there and a lot of your old writer friends) and (2) it's a fan conference, which means it includes readers as well as writers. That affects the topics of many of the panels, yes, but that's not always a bad thing. Go, and you'll see what I mean. You'll be poorer financially but richer professionally. Excuse me now, while I go treat my severe credit-card burns . . . Enjoyed the recap of your B'con highlights here and the good points about the conference in general. Good seeing you, though briefly, and next year at Toronto, I'm gonna be better about us planning a full meal together--a chance to sit down and talk for more than a few minutes in passing! That'd be fun, Art. It was great seeing you too. Truth is, there's never enough time to do everything I want to do. at these conferences. Congrats again on all your recent awards and achievements! It was great seeing you at Bouchercon, John--if I listed my high points from the convention, our too-brief chat at the happy hour (or whatever it was called) would definitely be included. (I want you to know that I've added STRANGER THINGS to my Netflix queue, though it's marked as "availability unknown," which, judging from my other experiences with Netflix, probably means "never available." I'm still not so sure about THE WALKING DEAD. )I'm registered for Toronto and hope we get more chances to chat there. To me, a trip to Toronto is as exciting as a trip to New Orleans--I grew up in Buffalo and have many warm memories of weekends spent there. Thanks, Bonnie! You too. And yes, you will like Stranger Things, if ever it does become available (I streamed it via Netflix and Apple TV). As for The Walking Dead, I never in a thousand years would have started watching that series if Deborah Elliott-Upton hadn't talked me into it--and now I love it. I see you were careful with your words, in describing Buffalo: warm memories of weekends, rather than memories of warm weekends. SMFS members occupied all but one of the tables in the room where they seated us at the Napoleon House. I counted 33 of us in attendance, but I wasn't quite sure how many were members and how many were spouses/guests. Although I missed having breakfast at a reasonable hour each morning, I can blame the late-night poker games with Gary Phillips, Parnell Hall, S.J. Rozan, James Lincoln Warren, Craig Faustus Buck, and many other writers whose names don't spring immediately to mind. After several hours of poker spread out over Friday and Saturday nights, I finished up $10. I've only attended one other Bouchercon (in Austin), one Left Coast Crime (in Santa Fe), and many science fiction conventions. I must say, I had more fun at this one--inside and outside the convention--than at any other similar event. My wife and I had so much fun that we're both hoping to attend future Bouchercons so we can meet other writers we know only via the Internet and their published works, and so we can continue conversations with the ones we now know in real life. Michael, thirty-three attendees sounds good, at the lunch--glad you counted. I really enjoyed the gathering. Thanks again, to O'Neil De Noux. Like you, I think this was my favorite of the writers' conferences I've attended. And I suspect that it had a higher attendance rate than recent B'cons, though I'm not certain of that. I too am looking forward to future Bouchercons. Maybe they'll get better and better . . .
Like you, my favorite part of Bouchercons is meeting people at any length. Sorry to have to cancel this year -- weather having canceled my train -- but it's left me even more determined to attend Bouchercon 2017 in Toronto. Congrats again on your various nominations and wins. We were sorry too, to hear you had to cancel, Gerald. As you said, we'll meet next year! Wish I could've been there! (I'm still nursing credit card burns from Worldcon in August! Greg Herren edited a couple of anthologies I read a few years ago---excellent! Jeff, I too wish you could've been with us this time. I recall meeting up with you at the Bcon in Cleveland, though (wasn't it Cleveland? ), a few years ago. And yes, Greg's a good guy, and a good editor.